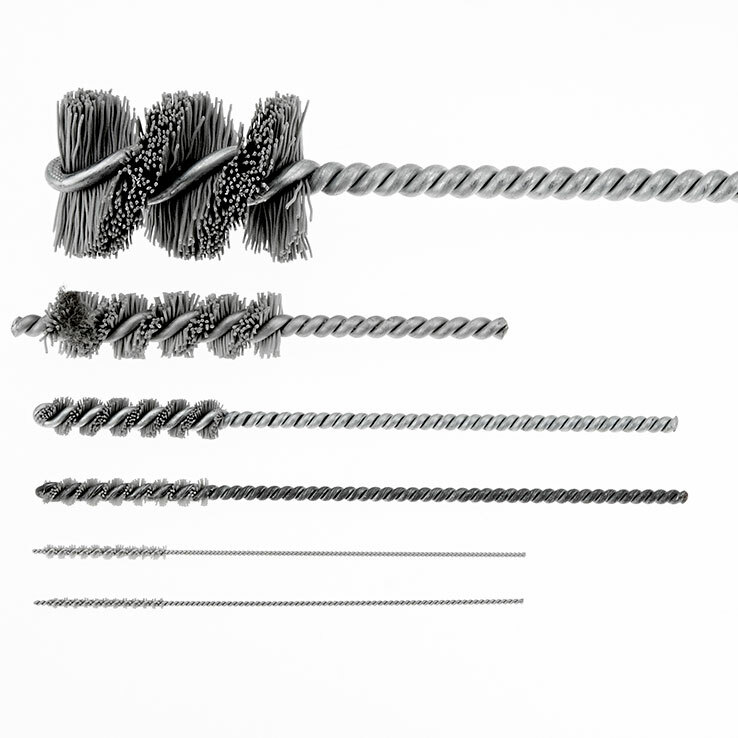 Abrasive Nylon Brushes are used for tubes or cylinders. These are cleaning tools and are available in many sizes of nylon. This brush is easily engineered to adjust to your particular job, saving you time and labor. One of the greatest myths is that you need a brush that is over­sized, or it is not going to clean well. Remember that the tips of the brush are the cutting tools even in a tube brush. Our brushes are listed as balanced brush; this is because usually only the first third or half of the brush does the cleaning. A long brush part will only give you a tool which creates a lot of friction and, therefore, is very difficult to use. These brushes are for light deburring, they are great for use on hand power tools or in CNC centers.